AppSeed Restaurant Backend aims to provide a platform to create 5-star restaurant apps for your users. It allows you to deploy your own backend faster and reduce your app delivery time and cost. It can be used alone to communicate with any restaurant mobile/web app or in conjunction with the AppSeed Restaurant mobile app for an engaging user experience. 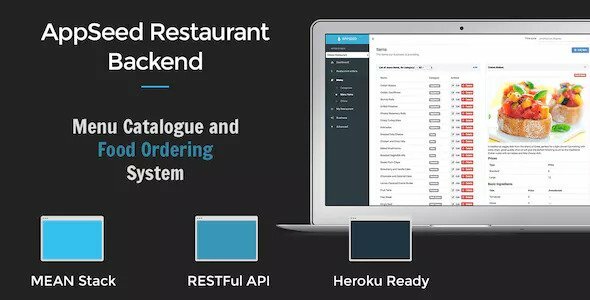 This backend offers order management, authentication and user management, building the complete content of your restaurant app, setting the business information, photos, special offers and many more.